This is it! The kick-off date for A HUMAN ELEMENT Book Blog Tour! And it begins with an explosive launch with a line-up of fabulous bloggers featuring interviews, guest posts and giveaways…all in celebration of the release of my new paranormal suspense novel A HUMAN ELEMENT. And don’t forget to enter the fantastic GET HUMAN AGAIN Giveaway! Spring fever? Feel like an alien trapped in winter? Winner will enjoy beautifying at a local spa before getting away to a relaxing B&B for the night while enjoying delicious chocolates and reading A HUMAN ELEMENT! Doesn’t it feel soooo good to be human again after a long winter? 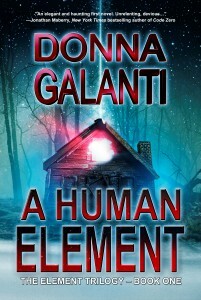 March 19th: Kicking off the tour today Donna Galanti gives an insightful interview on Stacy Green’s blog, Turning The Page, plus a review of A HUMAN ELEMENT and a giveaway! Be the first to win a copy of the book! March 20th: On author Janice Gable Bashman’s blog The Writing Life Donna Galanti talks about the writer gene and writing from “the dark places”. 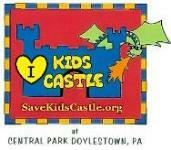 March 21st: Stop by Author Michael Ventrella’s blog to check out an in-depth interview with Donna Galanti. March 22nd: Prepare for scare. Get to know the villain of A HUMAN ELEMENT through a brief interview and excerpt at Mina Burrow’s blog Books for Paranomal and Mystic Minds. Plus check out Mina’s review of A HUMAN ELEMENT. 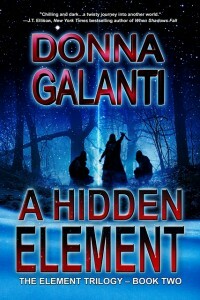 March 23rd: Stop by Susan Ricci’s blog to read Donna Galanti’s probing interview. And that’s just week one! There’s so much more murder with a dash of steam on the way, and more giveaways too. To keep up with it all, just click on the A HUMAN ELEMENT Blog Tour button at the top of this page, or click here. Wow–You’re gonna be all over the place this month! Looking forward to it!